Three ships to win the trophy all built by the same shipyard. Record held for over 25 years. The Hales Trophy for the fastest transatlantic crossing by a passenger ship is not only a test of speed, but a test of endurance and reliability. 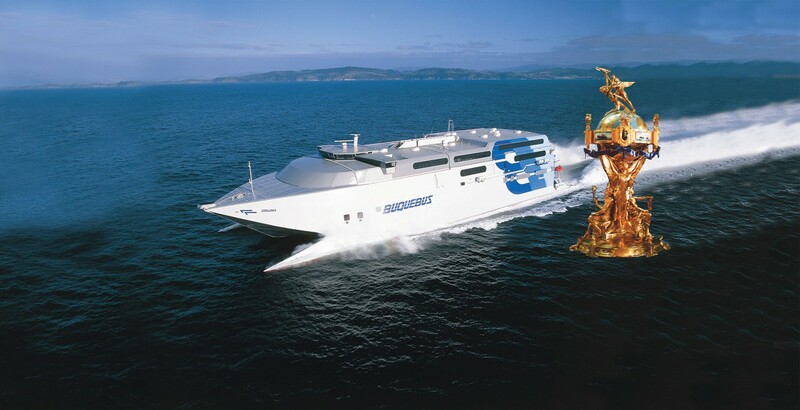 The past three trophy winners, all built by Incat, each in turn earned the right to fly the prestigious Blue Riband. Since 1998, Cat-Link V (049) has held The Hales Trophy with a record of 41.284 knots. The essence of the Blue Riband dates back to the 1830s, when ships fought for the honour of being the fastest transatlantic liner. a four foot high, heavily gilded solid silver trophy, known as the Hales Trophy, in 1935. The last big liner to win the trophy was the SS United States on its maiden voyage in 1952, averaging 35.59 knots. 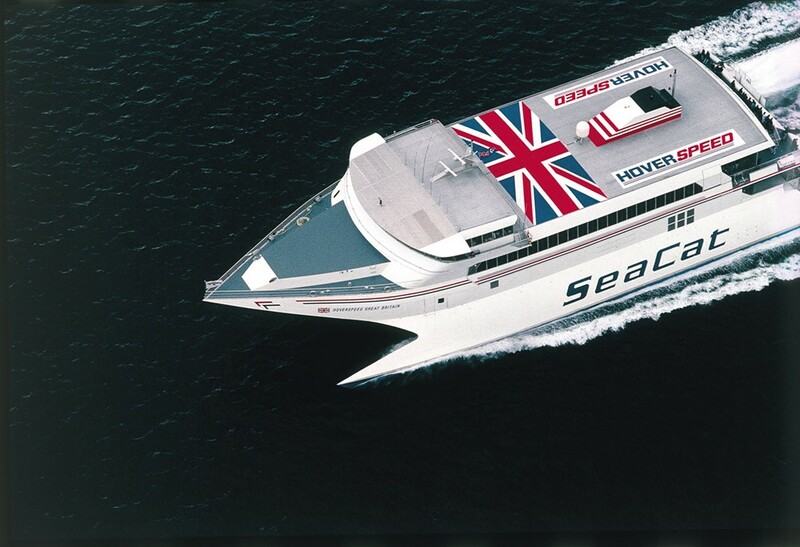 In 1990 Incat’s Hoverspeed Great Britain (025) broke SS United States’ 38 year old record. 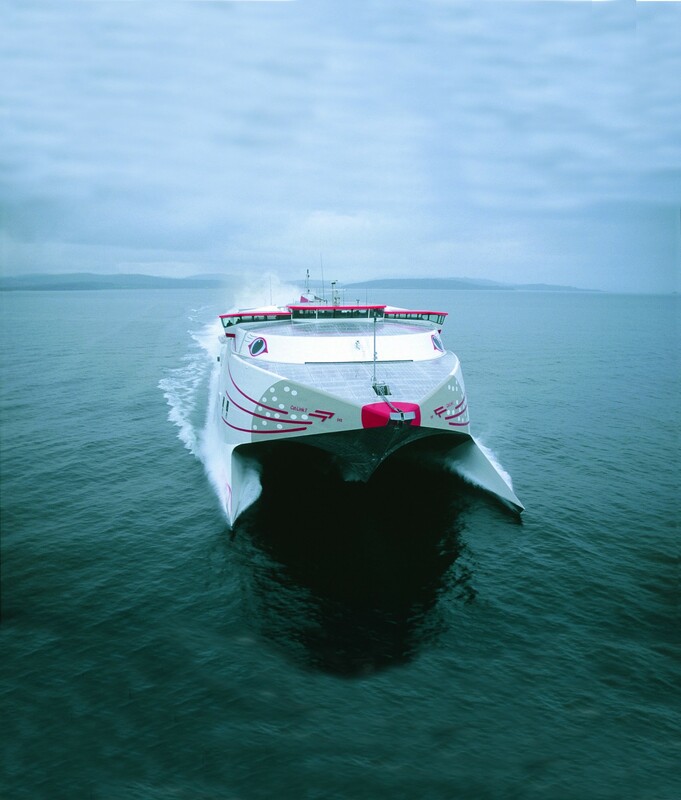 The 74 metre Incat Wave Piercing, car-carrying catamaran established the record of three days, seven hours and 52 minutes averaging 36.97 knots. The win fulfilled the original purpose of the trophy to encourage the continued development of technology and design in passenger shipping. Eight years later Incat-built Catalonia (047), on a longer route from New York to Spain, raised the average speed to 38.85 knots also becoming the first commercial vessel to cover over 1000 nautical miles in 24 hours. Just one month later, in July 1998, Cat-Link V (049) broke the 40 knot barrier with a new record speed of 41.284 knots. For the first time, three ships to win the trophy in succession had been built by the same shipyard.